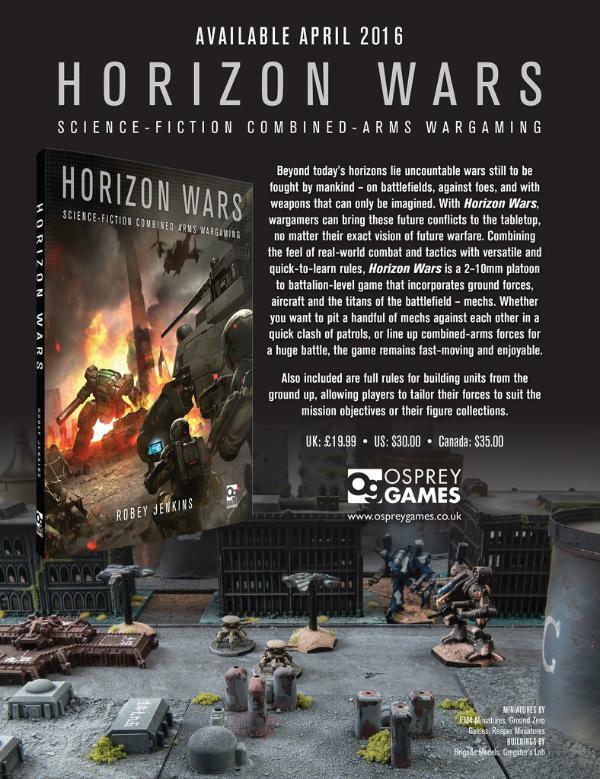 Osprey Publishing has announced a new company-level sci-fi miniatures game that they've been working on and will be releasing soon. 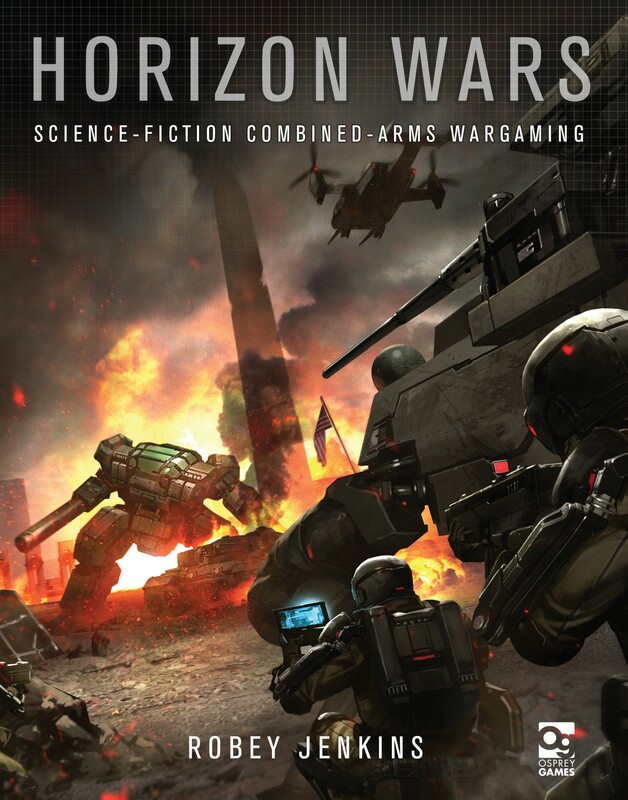 Horizon Wars is a new 6mm game that will bring together ground forces, aircraft, and titans all on a single battlefield. Think Epic 40k, but not actually Epic 40k. The rules are designed to let you field massive, sweeping armies on big tables with plenty of figures to really make you feel like you're basically having a whole war in one battle. You can also build your units specifically to your specifications. This means you only have to field what you want to field. The game will be released at Salute 2016, which is April 16th (in case you didn't know). More details will be forthcoming as the release date gets closer.